Today there are many different types of restaurants, from fast food to family casual. Here is a brief overview of some of the more popular restaurant concepts. Fast food is the most familiar restaurant to most people. Chains like McDonald's and Burger King became popular in the 1950s and helped spawn countless others, like Taco Bell, KFC, and In&Out Burger, due to its speed and convenience. Fast food restaurants are typically chains; if you are thinking of opening a fast food franchise, keep in mind that the initial costs of franchising are more expensive than opening an independent restaurant. "Cafe" is a restaurant that does not offer table service. Customers order their food from a counter and serve themselves. A cafe menu traditionally offers things such as coffee, espresso, pastries, and sandwiches. Cafes originated in Europe and are strongly associated with France. They are known for their casual, unhurried atmosphere. Panera Bread is an example of a popular bakery-cafe chain. The term bistro is sometimes interchanged with cafe. A bistro is actually a cafe that offers full meals (albeit, cheaper than a full-fledged sit-down restaurant). "Pub" is short for Public House, pubs date back hundreds of years to Europe, especially Great Britain. Pubs have a timeless appeal, for their laid-back atmosphere. Brewpubs offer beer made in-house, as well as a wide selection of other beers and ales. Pubs can offer full menus, as well as appetizers. Many casual style restaurants have a separate pub side to their establishment. "Casual Style Dining" is also known as family style dining in the United States. Casual style restaurants offer moderately priced entrees. This is one of the largest markets in the US right now. Causal style dining can be any number of themes, from Italian (Olive Garden) to seafood (Red Lobster) to Mexican (Chilis). Casual style restaurants offer tableside service, non-disposable dishes, while still keeping the menu moderately priced. Just as the name implies, fine dining is used to describe a much more upscale restaurant, one that offers diners an elegant atmosphere with high-quality service. The chefs in fine dining restaurants are usually professionally trained, and the food is fairly expensive but worth it. Another hugely popular restaurant concept is food trucks. These mobile eateries are popular for a variety of reasons: they have low start-up costs, low labor costs, and little overhead. Starting your own food truck still requires many of the same steps as opening a new restaurant. You need a business plan, financing, a menu, equipment, and a good name. A trademark of a food truck business is the use of social media to announce where the truck is each day. 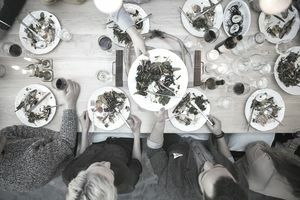 If you are looking for a way to try out a restaurant without any longtime commitment, a pop-up restaurant is one solution. Some professional chefs open their pop-ups to build their culinary reputation since the short-term nature of a pop-up allows chefs total freedom and creativity in the kitchen. Others open a pop-up restaurant to test out a restaurant concept, using it as an avenue to entice investors as well as the public to try it out. On a more philosophical note, other people use pop up restaurants as a way to offer gourmet dining at reduced prices so that everyone can enjoy it. Lastly, pop-ups are sometimes used as a vehicle for fundraising by civic and community groups.